I saw a “Wine Safari” poster on Instagram late Saturday last week and I was instantly interested. I thought, “who does not like wine and animals,” right? As the last day of the event was the next day, I emailed the 46 West Wineries event host and asked how to get tickets and what animals were at which wineries. I received a quick reply and had the details and the animal list. Wow, what a list! How do you choose? I wanted to go to all of them. As I missed the first day, there was little chance I could visit all 16 wineries even if I skipped the tastings at some of them. 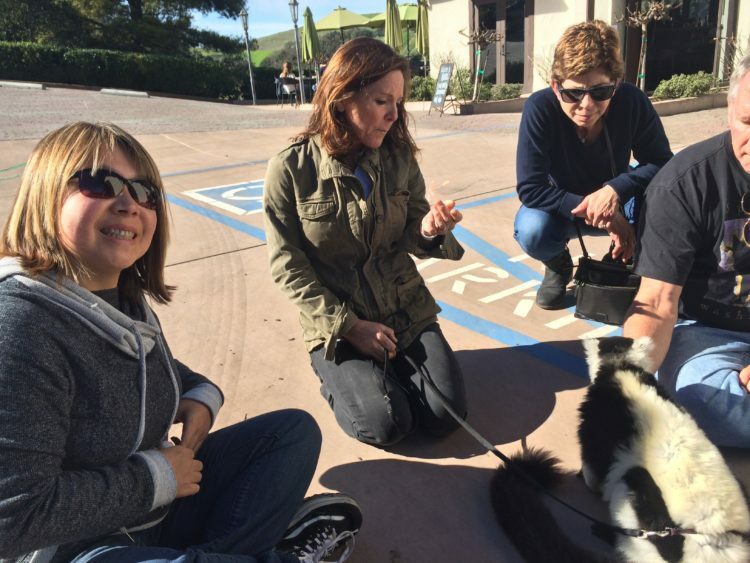 I took the safest option and asked a local animal ambassador and (cat) expert and wife, Mina, to help me choose. We sat down and worked the list into priorities based off the animals we wanted to visit. In the morning after weekly Aikido practice on Pismo Beach, Mina and I headed up to Paso Robles for the Safari. We decided to work our way in from Highway 101. Our first stop was Doce Robles Winery. This was a short drive up Highway 46 and just up a short dirt road. We were met outside by a very friendly German Shepard who realized there was a new person to meet and pet him (or her). 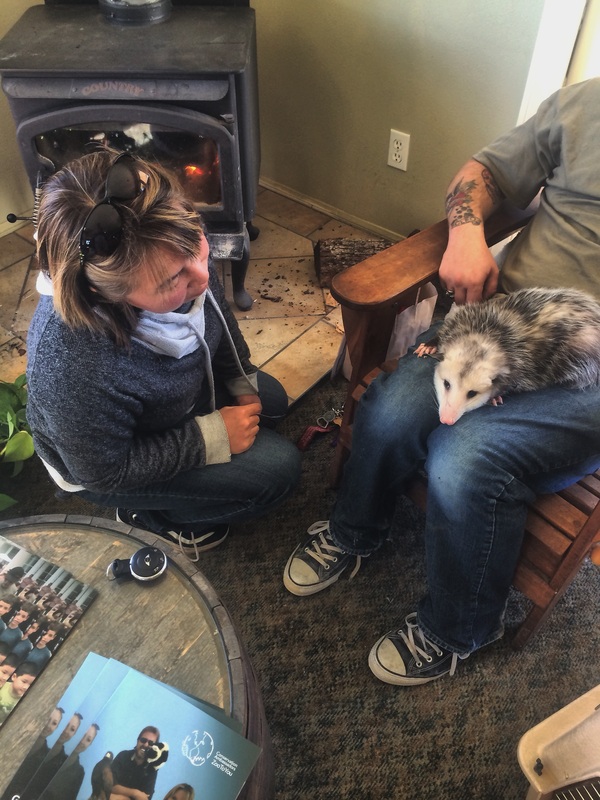 Here we met Jeff the Conservation Ambassador (CA) and an Opossum named Pockets. Pockets the marsupial was very mellow, and we were able to pet him. This was my first time here and I tasted three wines (Estate Barbera ’10, Estate Syrah ’11, Estate Sy-Rific-Cab ’12) from our host Katy. We headed down the trail to Dark Star (cool name! 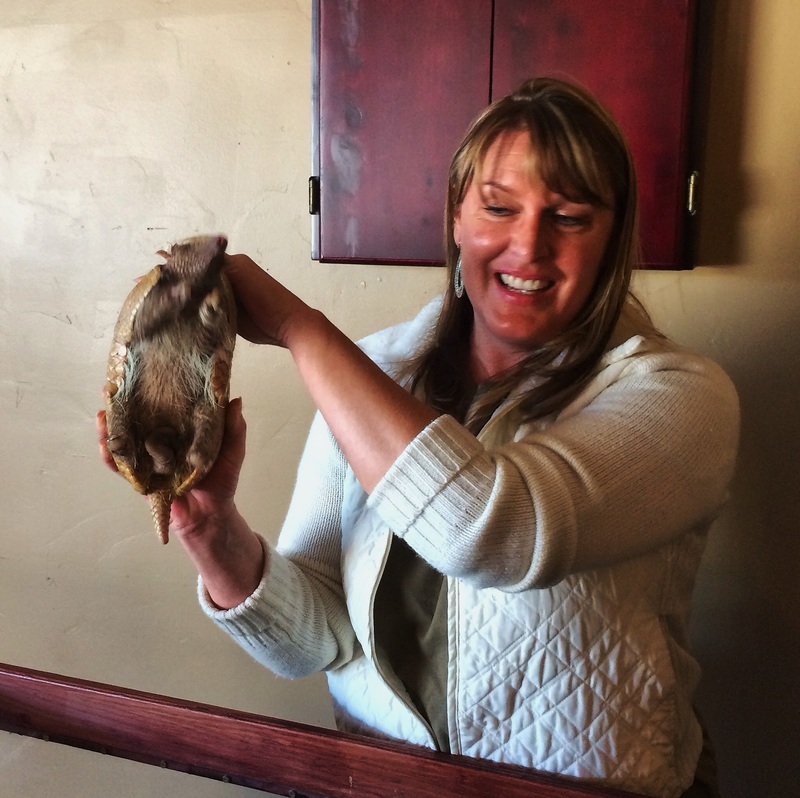 ), and inside the tasting room there was an open cage with the star of the show: Roswell the Armadillo. Sara the Ambassador told us that Roswell was 22 years old, and from what I understand they normally live 12 – 15 years. Did Roswell show his age? Heck no. He was super playful and probably the most active (other than the very energetic porcupine, but I digress) of all the animals we saw. In our video you can see him jumping and pouncing. Very entertaining. 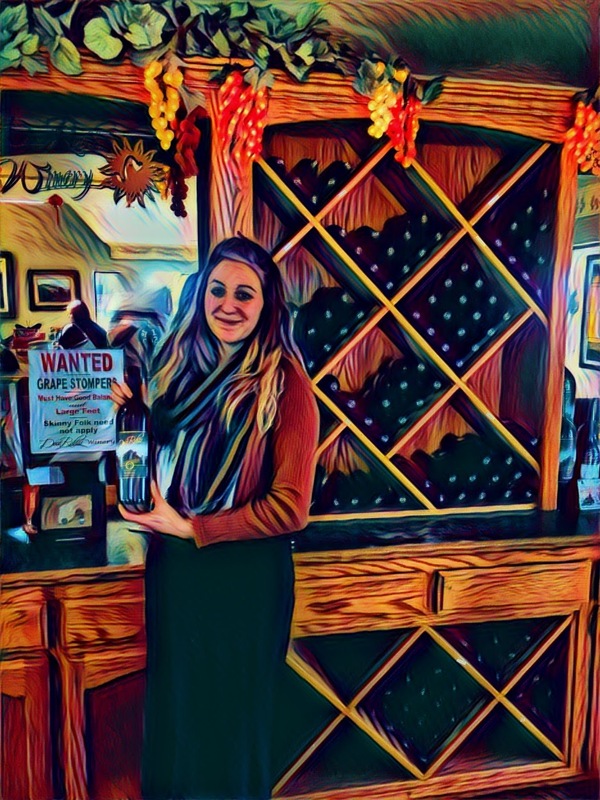 Hannah our Dark Star Winery tasting host. There was also a live bee hive here in the tasting room behind glass. You can see them doing the beezness (future idea, honey mead and bees… hmm). With all the excitement of meeting Roswell and seeing the bees doing beezness, I almost forgot I even get a little tasting as well. It is getting better and better. My hosts were Hannah and Adrienn. Again my first time to this winery and I was able to pick a few wines from the list. I tried the Anderson Road ’13, Zinfandel ’13, and one of their Bordeaux style wines named Ricordati ’14. I learned that “Ricordati” means “to remember,” and was true to its name. That is one I need to go back and try again! Our next stop was right next door, and when driving up to the Midnight Cellars Winery I was taken in by the scenery of this area. I have driven by this location many times, and it always surprises me we have so many gems sitting right next to us. Makes me always remind myself to take extra time to enjoy and really look around us. You never know what we may miss. The Midnight Cellars tasting room sits next to the winery and barrel room and facilities. 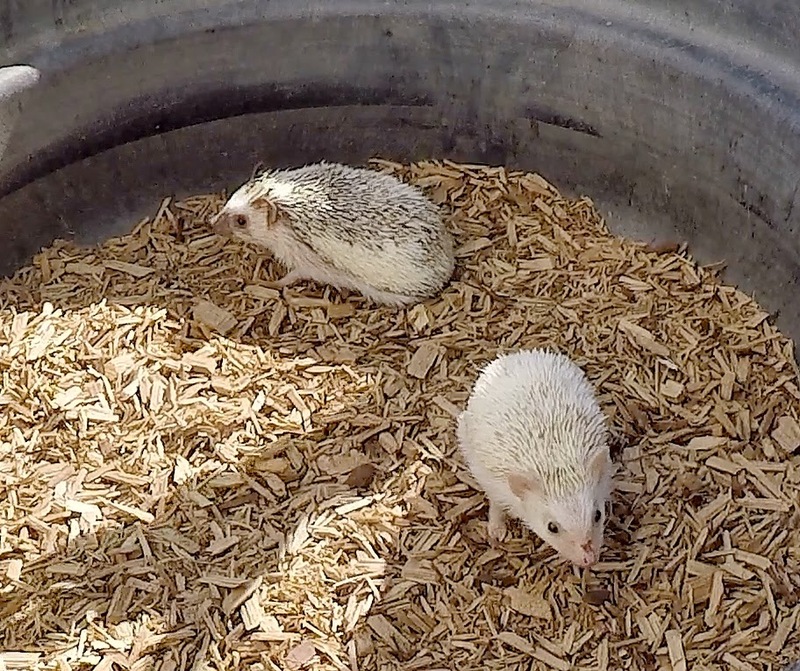 The animal station outside the tasting room was home to two cute hedgehogs. Our ambassador told us that their names were Salt & Pepper. These little guys moved around a lot and were lively. I now know you can pet them but only in own direction. Pretty cool creatures. 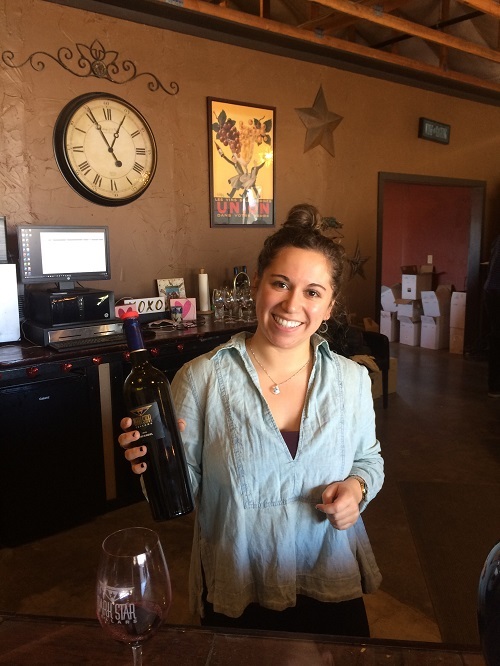 I went inside the tasting room to meet Demetra and taste some of the wines. Here I was able to pick a few from the regular tasting menu. There were a few wines that really popped. One that especially intrigued me and that I want to try again was the Capriccio Italian ’12, when I have a little more time to relax and savor. 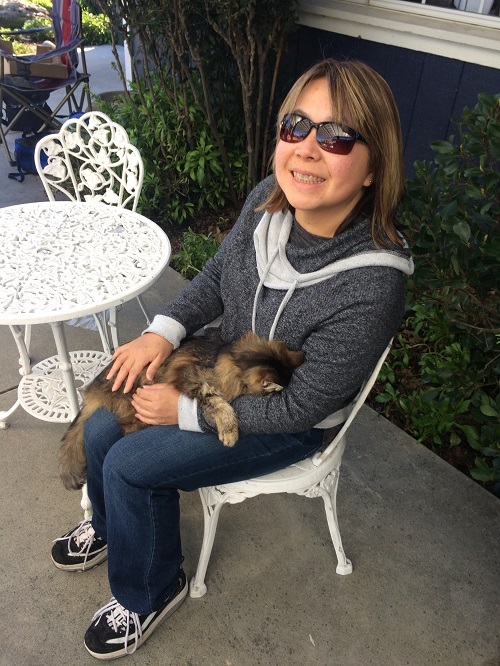 As I walked out of the tasting room Mina had run into her new friend Chardonnay the cat which decided to take a nap in her lap. We love our winery animals. We decided to head next to Croad Vineyards to see the kangaroo. The road up to Croad wound around the hill; at the peak, the beautiful tasting room emerged. You would have never known this was up here. We headed towards the tasting room and there was a fairly large waist-high cage with a very mellow kangaroo named Cassidy. Mina was able to enter the holding area and pet this very kind kangaroo. 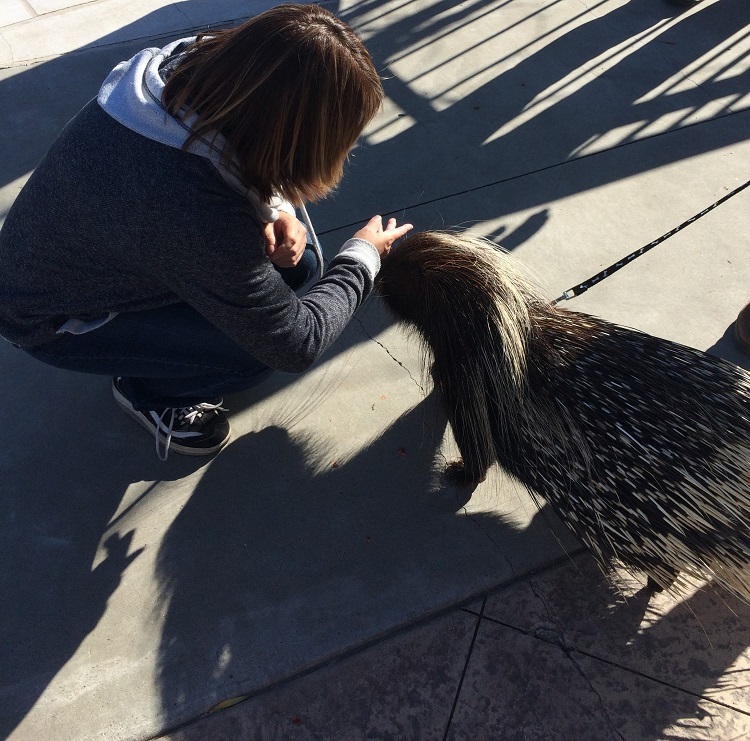 What a treat to pet such a cool animal. It was surprisingly soft. 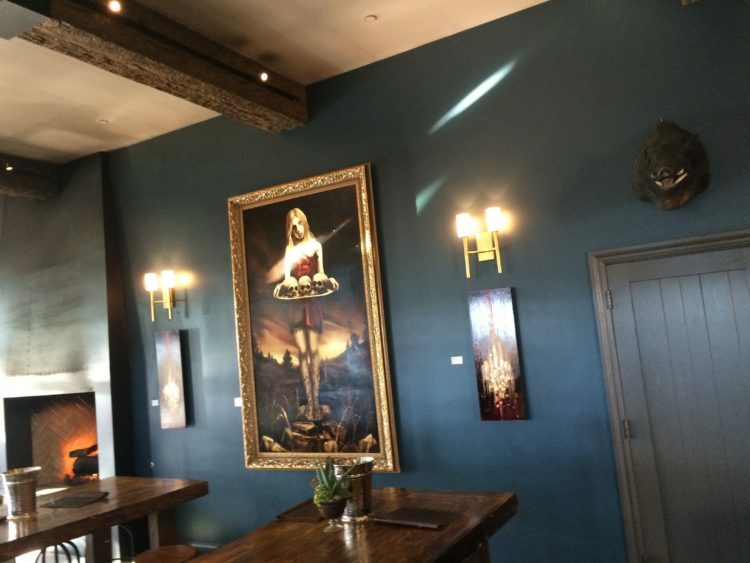 I moved into the tasting room, noting the multi-level building, the large fountain below and comfortable-looking chairs. Our hosts were very friendly and I enjoyed the Australian take on wine. Again, another tasting of wines that reminded me the quality and variety of wines in Paso. Just down the hill and across Highway 46 lay AronHill Vineyards, temporary home to Peeves the Lemur. As he sat there, Peeves reminded me of a big cat, and he liked to be scratched under his chin. The tasting was set outside for the safari event and I was treated to three additional tastings. Our host here was a Cal Poly student and he said he really enjoyed working up here and in the wine industry. 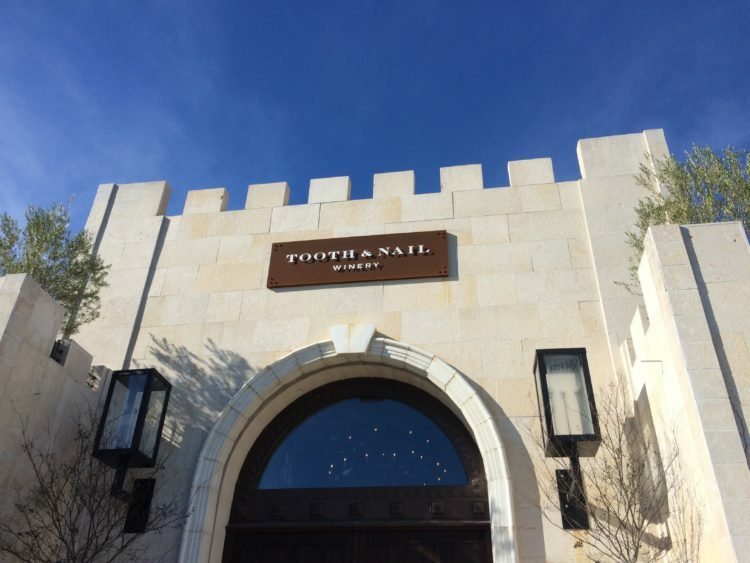 Our last stop before heading back towards 101 was Tooth & Nail Winery. I have seen this building from afar and it resembles a castle from the middle ages. Driving up, I could see that this was no facade, but a very beautiful building with medieval and Gothic references. It even had a moat. This would be the perfect place for a renaissance festival. Anyone for giant turkey legs and wine? Oh, I am digressing again. 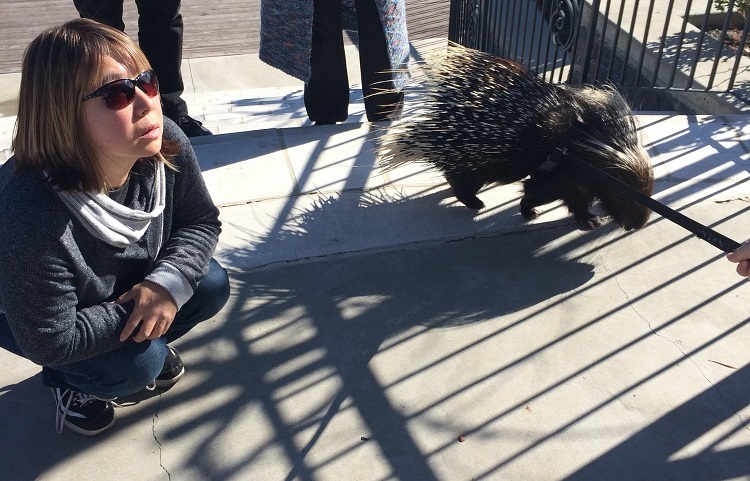 As we crossed the bridge, we saw a very energetic and inquisitive African Porcupine named Morocco. This little critter on a leash was walking around saying hi to everyone. Very cool to see him up close and glad we caught our last animal before the end of the day. The entry area was very lively with music playing and artists painting live while everyone tasted wine and relaxed. This is a cool place and definitely will be back to learn more about the wines and winery. As you probably can guess, I had enough wine so instead of doing a tasting at Tooth & Nail, I enjoyed the scenery and music. Inside the building was pretty cool too, with old-school Gothic pictures and props. You can even go up to the roof and look out upon the Paso Valley. We ended our tour and (wine) safari with wonderful memories of the incredible animals, people, and wine. We did not make it to all the wineries, but gave it a good shot. The good news is that this leaves more to explore and plan for next time. Next year, let’s all head down and bring more friends and family to this wonderful event. 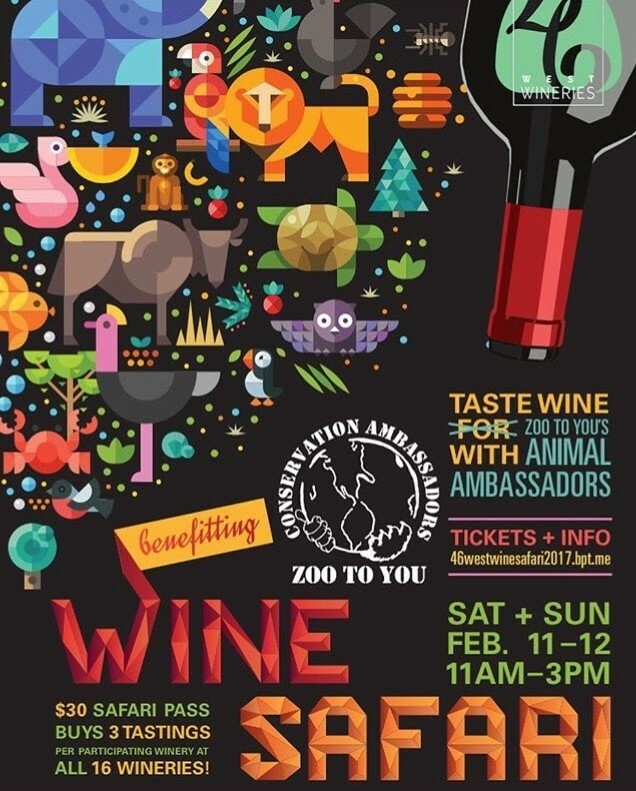 Can meet some unique animals, support the ZootoYou cause and, of course, taste some great Paso Robles wines. I personally want to thank all the Conservation Ambassadors, our new animal friends, our winery hosts, and all the nice people we met along the way. What a way to celebrate the Great Flavors of the Central Coast. The Conservation Ambassadors ZooToYou programs are about Education, Conservation, and Inspiration. More about this organization can be found on its website at Zoo to You – Check it out.